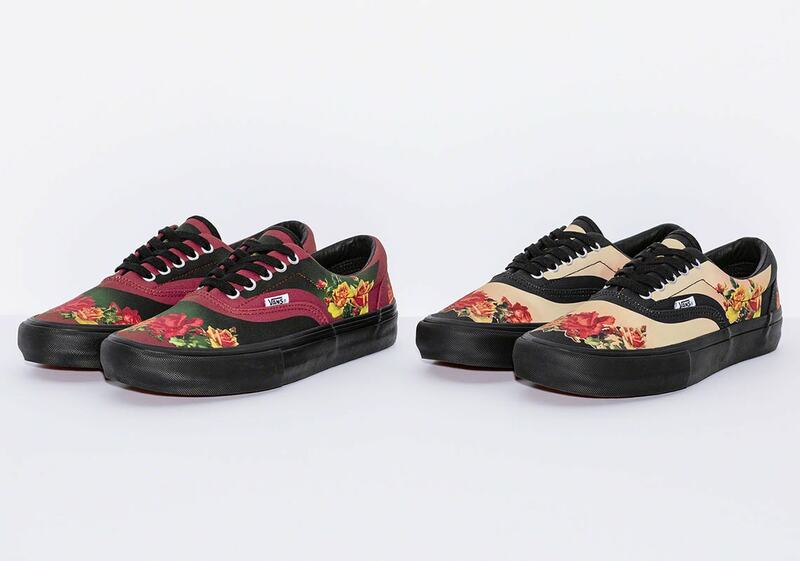 Supreme is gearing up for the 7th week of their SS19 season, highlighted with a collaboration with Jean Paul Gaultier which will feature Vans Skateboarding shoes. Jean Paul Gaultier is a well known French fashion designer. With a plethora of pieces under his belt for stars such as Madonna and Marilyn Manson, he looks to further his resume with Supreme New York. Supreme is known to collaborate with reputable brands or designers but this one caught a lot of people off guard. Through a plentiful collection of clothes and accessories, Vans footwear will also be included. The relationship between Vans and Supreme has been going on for years now, as pretty much every season contains at least one new shoe. This time around, the two will have help from Gaultier with two silhouettes- the Chukka Pro and the Era Pro. 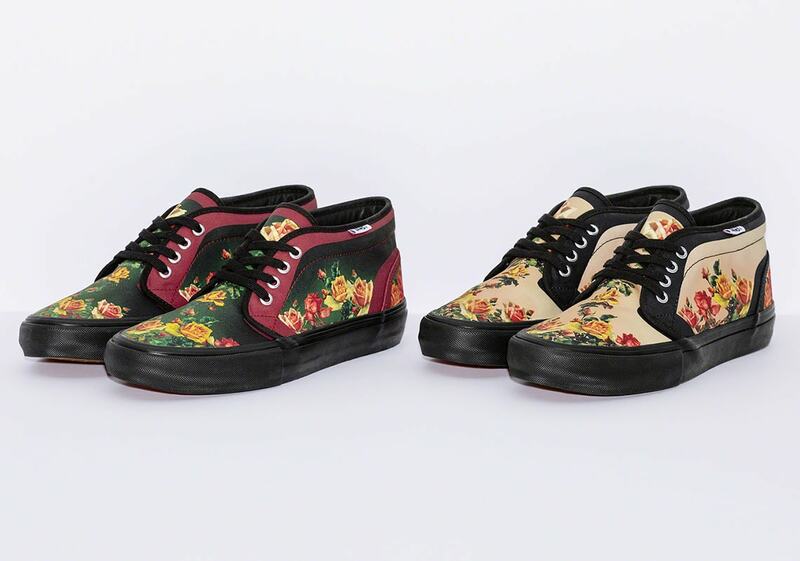 Both models will feature two different colorways: a burgundy and tan with black accents and a floral pattern on the side panel, toe, tongue, and heel. Furthermore, both are accompanied by a black midsole and an insole that contains all three brands’ logos. The California based skate shoes will become available on April 11th, 2019 at Supremenewyork.com as well as Supreme In-store. As of now, no other information has been released. If you’re looking to pick up a pair do not hesitate as they will likely be gone fast. Check out more images below and stay tuned to JustFreshKicks for updates and other sneaker news. The post Supreme’s Collaboration with Jean Paul Gaultier Will Feature Vans Footwear appeared first on JustFreshKicks.